Subway glass tiles, as the name itself, is very prominent in suggesting the glass finish that it provides to the tile. These kind of tiles are very stylish in presentation and has that vibrant gloss texture to it. They are mainly used in the kitchen or the washroom areas of the establishment. However, with the new age of homeowners and home designers they are not restricted to backsplashes, walls, pools, fireplaces and multiple other interiors and exterior applications. Due to the glossy factor attached to it, they are very much prone to visible dirt or stains to it. Hence, it is one of those tiles that require a regular or frequent maintenance to keep the glossy feel intact. People with high taste and class prefer it even with the kind of effort it takes to maintain them, as they are the most vibrant and dapper in appearance and presence. 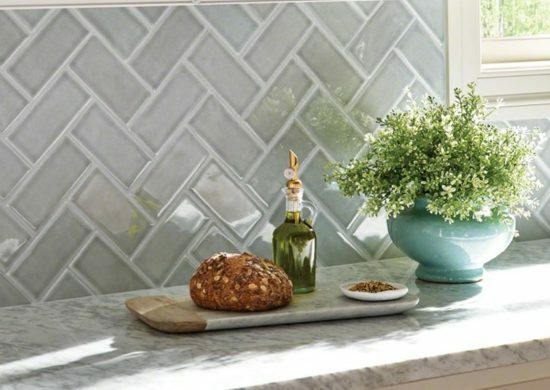 The subway glass tiles are available in a variety of different warm shades, and their mirror-like appearance makes them project an extraordinary appearance to ones indoors or outdoors. They are made out of real mirrors with an amazing polish to create an appearance of a jewelry masterpiece to one’s infrastructure. The cost factor for these subway glass tiles is also very compatible to the other varieties available in the market. With an average moderate pricing of $15 per sqft, they can be considered as one of the major style quotients of an establishment. An enormous variety of stunning glass based tiles livens up the surroundings with exotic colors and alluring designs. A cheerful outdoor ambiance, the special gift that luminous glass can usher in your life with friendly hues that speak a million words. Choose among the intensely fragrant variety of designs, contemporary or classic, traditional or modern settings, each to spectacular scintillating effect. The glass culture will always remain in vogue due to tradition, beauty, and affordability. Besides, they are hardly as fragile as most people would think! Walls of clout and impact would be the result of installing favorite Glass Mosaics. Accent walls or shower walls, kitchen and bathroom surroundings, they all come to life in a frenzy. Maintenance is a dream and property values suddenly escalate. Maybe you did not realize the great variety of glass tiles that nowadays exist. Hard to tell the differences all right, but we appreciate the stunning halos that surround. Crackle Glass and Crystallized Glass are some of them besides the Ice Glass and Stained Glass varieties. There are many more like the Inkjet Glass and Iridescent Glass. Choose a few of them and combine contrasting colors for greater impact. Glass Mosaics might just make the difference to the family or business premises after all the natural stone and porcelain. A refreshing change is on the way that would uplift spirits tired of sameness. Awesome is the word when it comes to choosing among Desert Spring and Majestic Ocean, Brown Blend, Raindrop and Blue Cotton. Prices are quite affordable in the range of $7 to $9 per square foot while a few cute versions sell for $4. Imagine a gorgeous stained glass transom window just over your main door. On the other hand, a beautiful stained glass sun catcher hanging above your kitchen window. Also, imagine the stained glass showpiece on your wooden table top, for example, an end table, couch table, or passage table. That is the genuine uniqueness. Imagine your hall or vestibule with its sleek hardwood floor, complicated baseboard, and crown forming, and a dazzling mirror focused on the divider with an antique coat stand in the corner. The picture looks brilliant, yet it’s missing something. You can’t exactly put your finger on it, however, you know it needs more. Aha! Something must go about as a move from the floor to the mirror on the divider. A beautiful stained glass mosaic passage table is done in a rich, complete stained color which accurately a complement on the hardwood flooring. Imagine another room in your house with perfectly matched great mosaic furniture, for example, end tables, trinket tables, and couch tables. With a stained glass mosaic table, not just do you get the ideal bit of furniture, you get a lovely masterpiece. You additionally get a discussion piece that will probably draw your visitors’ interest and wonderment. You may even find that your stained glass mosaic furniture turns into the point of convergence of the room. At the point when considering “mosaic,” don’t restrain your creative ability to the regular square or triangle pieces laid in like manner mosaic examples. Rather, go past the normal and imagine the remarkable. Imagine the magnificence and uniqueness of stained glass outlines guilefully coordinated with wood furniture.